With white stretches of sand on one side and high mountain ranges on the other, it’s no wonder that Maryland earned the nickname of “America in Miniature”. The state combines all of the best bits of the rest of the country, and has some of the most interesting and diverse cities in all of America. But it’s not just scenery and city lights that draw visitors to Maryland – the state is also home to some of the best flea markets. If finding a unique gift, picking up a locally crafted item or digging around for buried treasures sounds like your idea of shopping heaven, read on! Running for more than 20 years, Baltimore’s Patapsco Flea Market is one of the largest and most popular fleas on the east coast. Open every Saturday and Sunday from 8am, the busy flea market is home to a huge number of varied vendors, with discounted name brand items, handmade crafts, fresh produce and much more. If you’re looking for everyday items, like household cleaning products, gardening supplies and electrical items, you’ll be amazed at how much money you can save at Patapsco’s. The market also hosts a delicious international food court, with vendors selling grub from Latin America, the Mediterranean and Asia. Camp Springs sprawling flea and vintage market – simply known as “The Market” – is one of the biggest and best in the entire state. With new and second-hand clothing, antiques, art, home décor, jewellery, handmade gifts and even an onsite herbal store for holistic treatments, whatever you need, you’re guaranteed to find it here. The Market runs Tuesday to Sunday, with a better selection of vendors at the weekend. The indoor market features some 40 merchants, as well as a hair stylist, food stalls and a selection of speciality shops. It’s free to browse, and with plenty of free parking available, your budget will thank you for swapping your regular retail therapy for a spot of bargain hunting at this flea. Another of Baltimore’s popular weekend fleas, the North Point Plaza Flea Market runs every Saturday and Sunday from 7am. 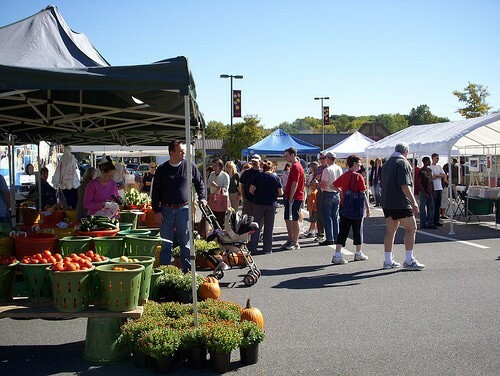 Part traditional flea and part fresh produce market, the North Point Plaza is also home to the Pennsylvania Dutch Farmers Market. There are more than 200 vendors selling their wares and goods each weekend, with everything from furniture and antiques to Amish food and baking. With indoor, outdoor and tented stalls, you can shop year-round, no matter what the weather at North Point Plaza. Along with great shopping bargains and fresh groceries, the market also has a selection of fast food stands and vendors, with everything from Chinese to pizza and burgers. Located in Frederick County, the Feagaville Indoor Flea Market has more than 6,000 sq.ft. of all-weather shopping space, with over 50 unique vendors. 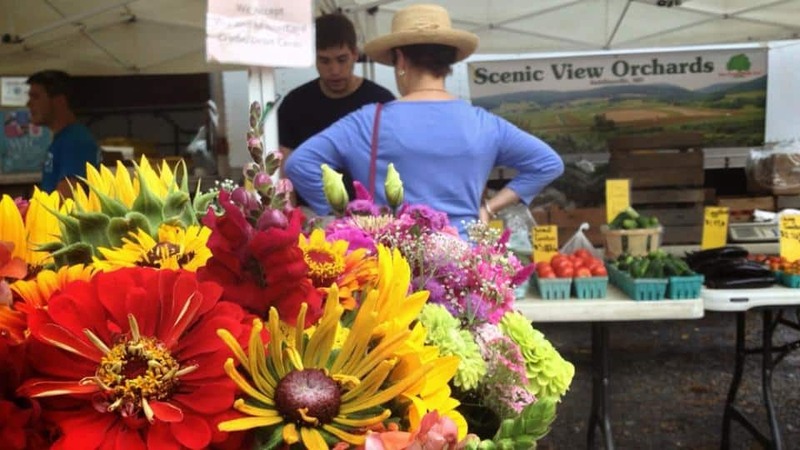 Open every Friday, Saturday and Sunday, the popular flea is just three miles outside of Fredrick and offers seasonal fresh fruit and vegetables, alongside its more traditional flea market wares. 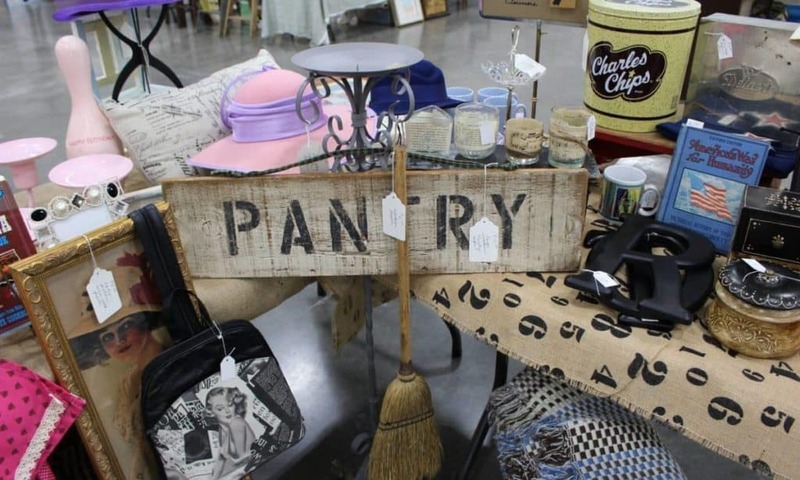 From electronics to toys, linen, antiques, craft items and supplies, collectibles and woodwork, the Feagaville Indoor Flea Market is an ideal place to pick up an unusual piece for your home, or find a unique gift for a special occasion. New items are added on a weekly basis and, with free admission and parking, you’re free to browse around without having to spend a penny. With 80 antiques, collectibles and flea-style shops, and 20 further merchants offering handcrafted gifts and wares, the Chesapeake Marketplace and Auction House in St. Leonard is a unique, unmissable shopping experience. Open from Wednesday to Sunday from 10am, this flea-market style mall has everything from furniture to ceramics, gifts, antique books, jewellery, kids’ toys, beauty products and much more. While some shops and merchants are permanent fixtures, the merchandise is regularly updated and the market features special events and sales promotions for even greater savings. If food is an important factor in choosing the next Maryland flea market to spend a weekend browsing through, head for the Joppatowne Flea Market in Joppa. This huge market has more than 200 booths, and whilst you’ll find all the usual flea market goodies – including antiques, furniture, clothing, books, music, toys and more – it’s the great range of fresh food, baked goods and sweets that makes this flea market so special. 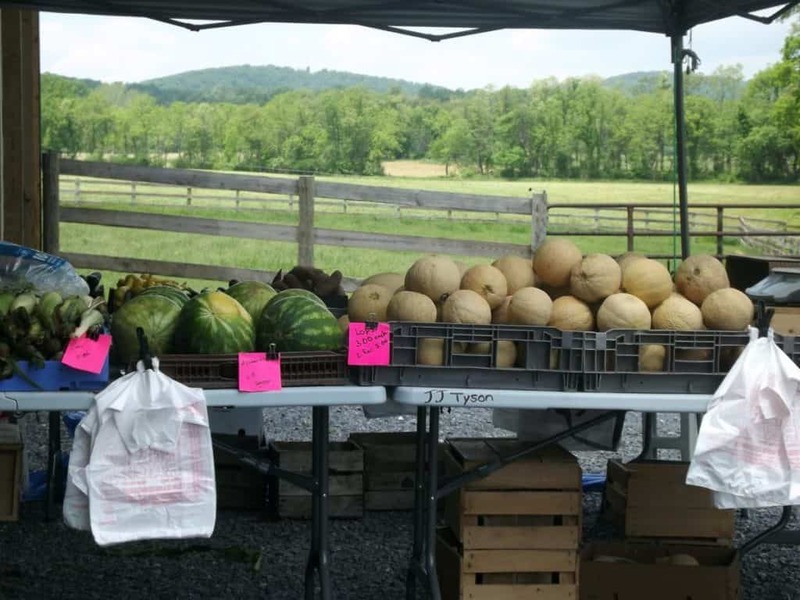 The Joppatowne Flea Market is also home to an Amish farmers market, where you can pick up locally grown fruit and veg, homemade cakes and candy. Owned and operated by the same family since 1986, Brumwells Flea Market is the largest in the area, and one of the best in Maryland. Open every Saturday and Sunday from 6am, the popular year-round market is full of “junk”, with many hidden treasures waiting to be found. From vintage clothing, jewellery and accessories to rare antiques and artwork, if you’re looking for something a bit different, Brumwells is the place to shop. For those with green thumbs, the market is also home to plenty of plant and flower vendors, as well as those selling garden ornaments and gardening supplies. 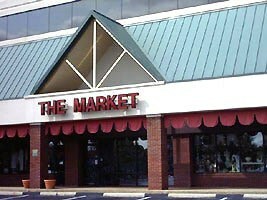 Formerly known as US1 Flea Market, the Washington Blvd Marketplace in Elkridge is one of Maryland’s best loved fleas. Open every Saturday and Sunday from 8am, year-round, this popular flea receives thousands of visitors from the state and beyond each month. 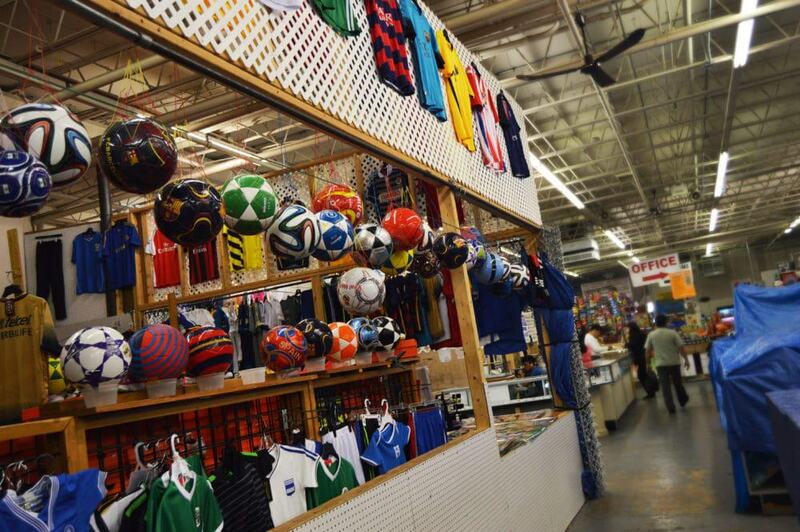 There are over 200 indoor vendors and 70 outdoor stalls at the market, selling both new and used goods. Washington Blvd Marketplace is also home to a great selection of food and fresh produce, with fruit and veg, baked goods and snack vendors, as well as an indoor food court serving fresh breakfast and lunch. 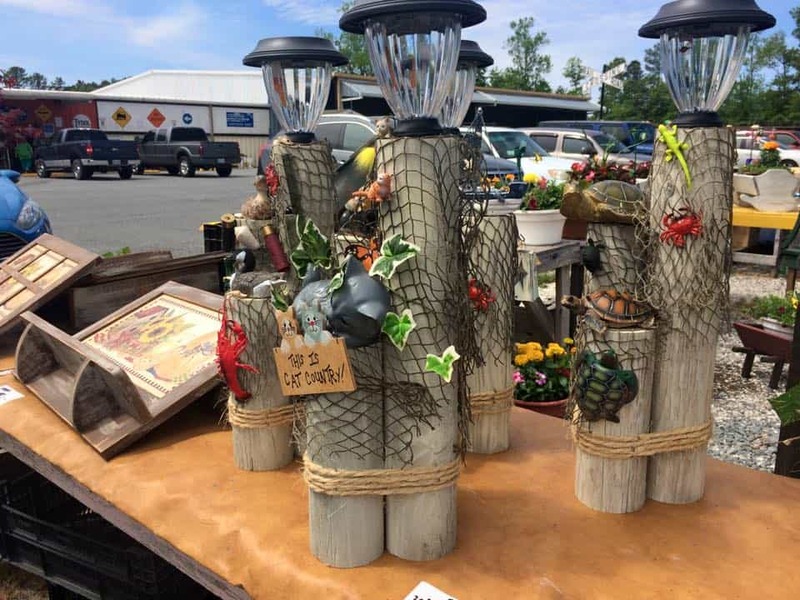 Bringing together antiques dealers, furniture up-cyclers, craftsmen and artists, the Vintage Flea and Farm Market in Bryantown is a fun way to spend a sunny Saturday in Maryland. Multiple vendors arrive for this flea market each week, which runs from May through to November. Whether you are looking for a vintage outfit, one-of-a-kind collectible or a handmade gift, there is something for every style and occasion. 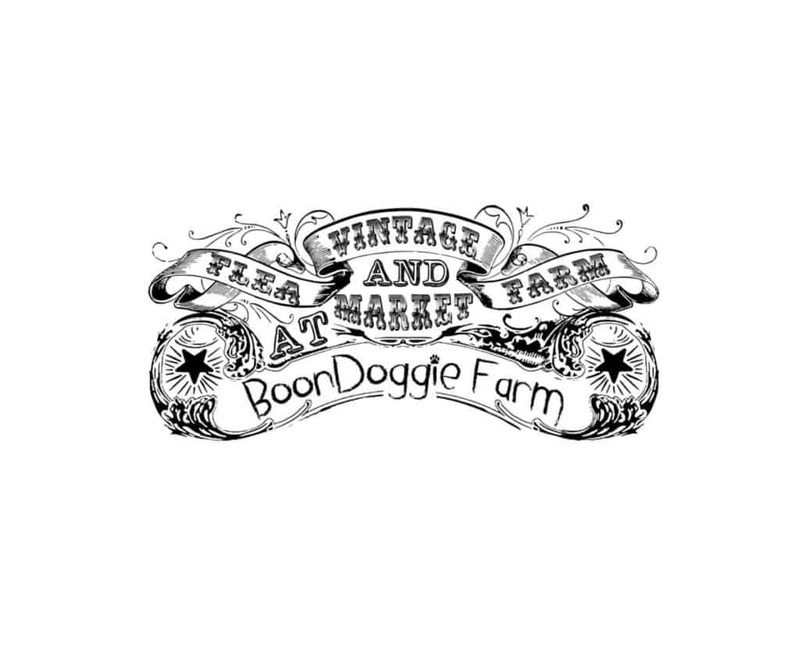 The Vintage Flea and Farm Market also has a great selection of food vendors, serving up tasty snacks and drinks, and regularly hosts special events or live music. With a flea market running all weekend, and the added bonus of a farmers market on Saturdays, the Park & Flea in Salisbury, Maryland, is a great place to pick up bargain deals, fresh food and unique gifts. Visitors can browse through dozens of vendor stalls, selling everything from antiques to plants, and those who like to dig for buried treasure will love the many yard sale-style stalls. For antique fanatics, not only can you pick up a rare piece from one of the vendors but you can also peruse the large antique mall, Season’s Best, which is right next to the flea market. The market also has a great range of food vendors, including a delicious fresh seafood stall. 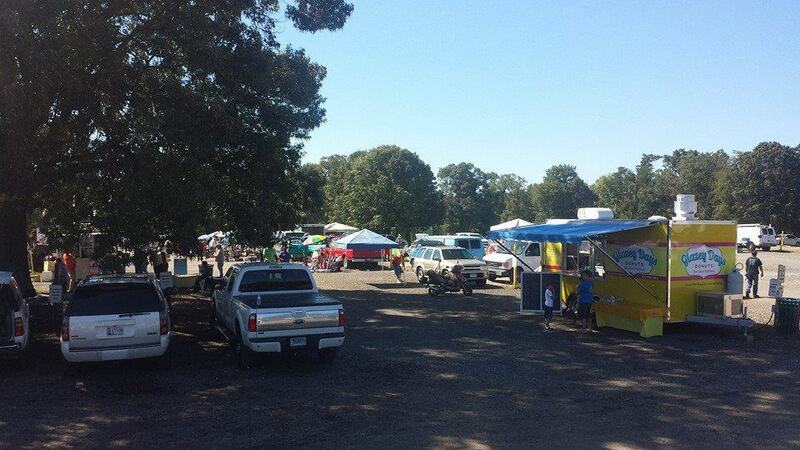 Located on Maryland’s eastern shore, the Flea Market 13 is one of the state’s most interesting and unique flea markets. 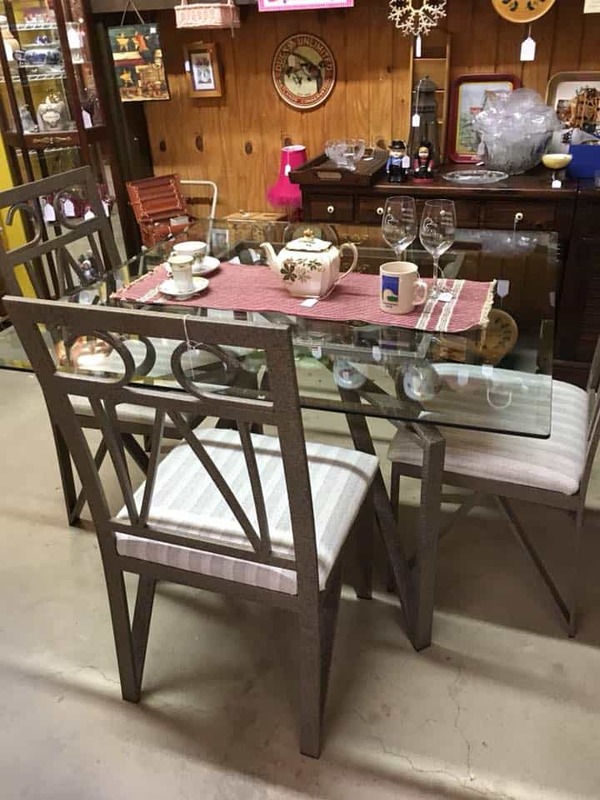 There is a wide selection of furniture, antiques, collectibles and more at the market, as well as clothing, jewellery, fishing gear, model planes and boats, tools and machinery, handmade candles and pet supplies. Just south of the historic Pocomoke City, Flea Market 13 works in conjunction with Boomers Flying Classics, providing helicopter tours of the area each weekend, weather permitting. Even if you leave the flea market without picking up a bargain, you’ll never forget the experience of a Maryland helicopter tour! The family owned and operated Essex Farm Market is one of Maryland’s best, small, indoor fleas. With a diverse range of vendors, including the popular vintage offerings from Other People’s Junk and Army Frank’s great selection of military memorabilia, visitors will have no problem finding everyday items, new and used goods, special gifts and rare collectors’ items. If bargain shopping makes you hungry, the onsite restaurant – Cartina’s Kitchen – serves up some delicious meals, as well as hot and cold drinks. Shoppers can also pick up the latest beauty products from the local Avon representative, who has a regular stall at the Essex Flea Market. 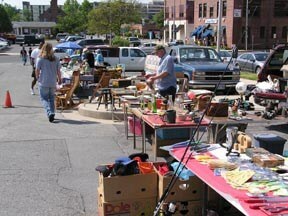 Fancy a bit of flea market shopping, even when the Maryland weather has turned? 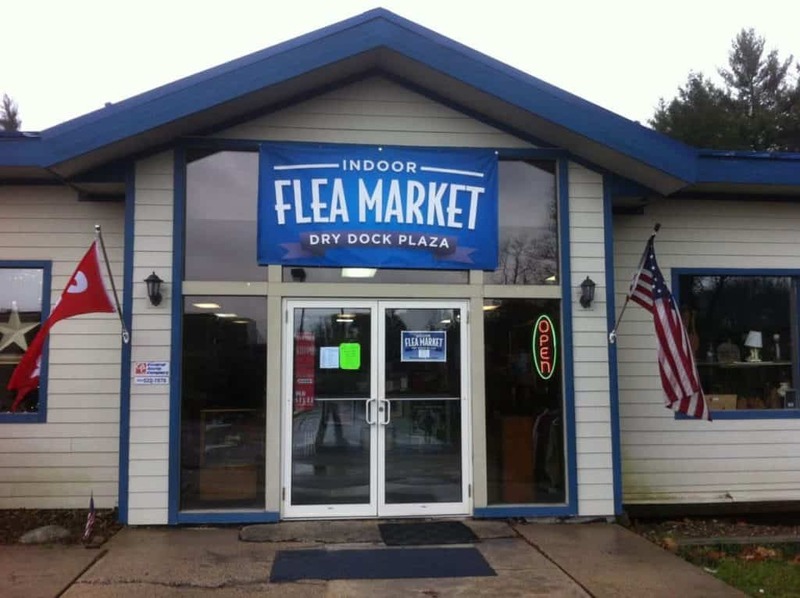 Head for the Indoor Flea Market at Dry Dock Plaza in Oakland, for undercover bargain hunting in any season. This small but popular flea has a great selection of both new and used items, including souvenirs, clothing, handbags and jewellery, toys and games, party and seasonal supplies, antiques, retro furnishings and more. The majority of the vendors are regulars, but they rotate stock, with new goodies being added every week. Want to hunt for bargains but feel like a delicious brunch at the same time? Make for Olney Farmers & Artists Market for tasty food and incredibly discounts on a range of goods. The popular Sunday-only flea is open from 9am each week and, alongside a huge selection of fresh produce, baked goods, snacks, international cuisine and homemade sweets, visitors can enjoy live chef demos, food contests and well-known live speakers. The Olney Farmers and Artists Market also has a schedule of live music, allowing visitors to be entertained whilst they browse around the many vendor stalls. Part auction house, part barn sale and part flea, this treasure trove of junk in Cecil County is worth stopping at, if you don’t mind rummaging around for great deals. 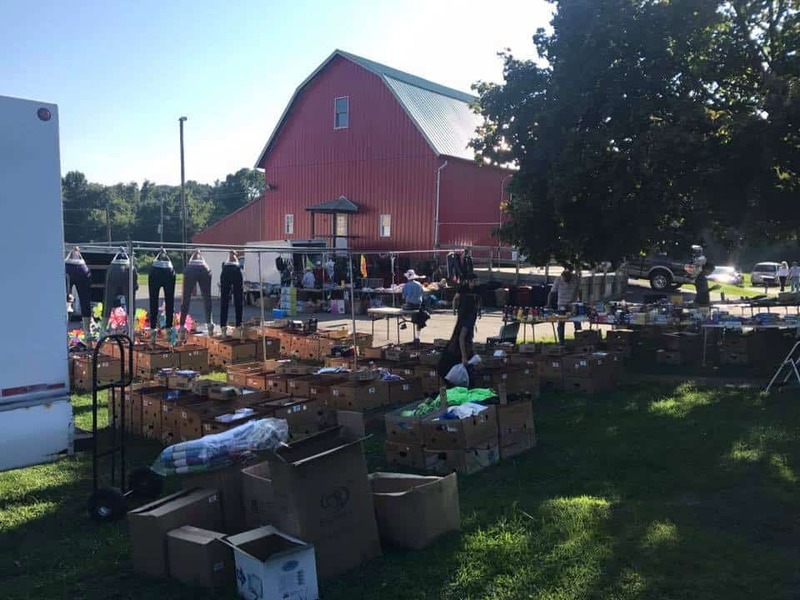 The flea market, which runs on a Monday afternoon, sees many different vendors arriving to sell their goods, including Amish foods and crafts, antiques, homeware and everyday household items. Shoppers can also pick up fresh fruit, veg and other groceries, always at a discounted price. If you can’t make it to the flea market, the onsite salvage store also offers some great bargains, and is open five days a week.